Our first maternity session of 2019 was nothing short of amazing! 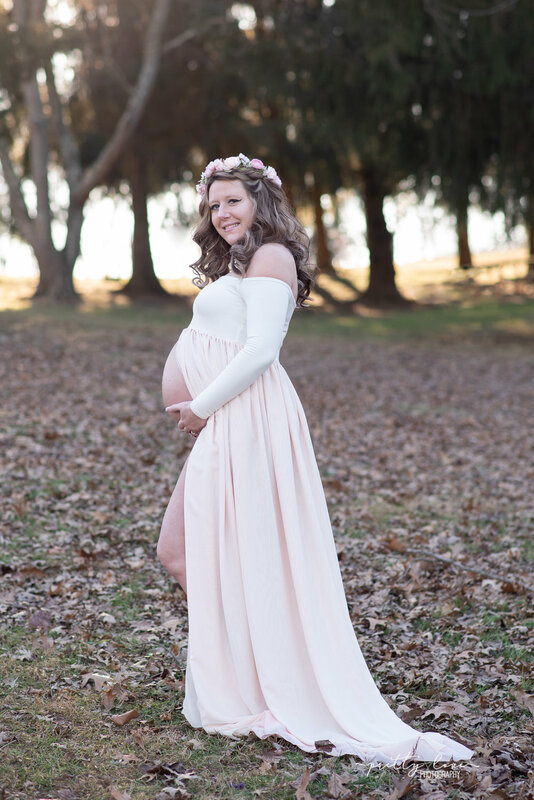 Julio and Traci made the trip to Maryland just for a short visit and their maternity session, how awesome is that? Traci is Kerry’s childhood friend- all the way back to the 3rd grade! Traci and Kerry lived down the street from each other in New Jersey, where they were inseparable until they both went to colleges out of state (MD and PA). And although life’s circumstances and distance hasn’t allowed for many chances to see each other, they didn’t skip a beat last weekend! We chose Piney Run Park in Sykesville for the session location. It was a very cold January day but we did okay with the help of some robes and blankets! Traci’s long sleeve dress by Sew Trendy was a really beautiful winter choice. We also did Traci’s hair that afternoon and made her flower crown to go with the color of her dress. Everything came together so nicely! Julio & Traci, we are so happy for you both and cannot wait to see photos of that sweet baby girl! We hope you can always look back on these photos and remember this special time just before you became parents.